Monday 26 October 2015. Dublin City Marathon runners: Sandra and Gavin Burke, Co. Kildare. Monday 26 October 2015. Dublin City Marathon runners: Nelson Ho, Castleknock, Luke Wong, Walkinstown, Karen Mok, Castleknock, Yin Hao Tan, Castleknock. Monday 26 October 2015. Dublin City Marathon runners: James Lannigan, Waterford City and Sean McGurk, Tyrone. Monday 26 October 2015. Dublin City Marathon runners: Darren Molloy, Danny Murphy, Aron Nutley, Monaghan. Monday 26 October 2015. 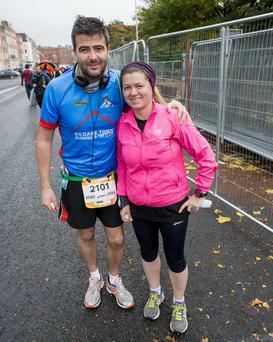 Dublin City Marathon runners: Hugh Watters, Belfast and Edel Scanlon, Limerick. Monday 26 October 2015. Dublin City Marathon runners: James Lannigan, Waterford City. Monday 26 October 2015. Dublin City Marathon runners: Dunshaughlin AC. Monday 26 October 2015. Dublin City Marathon. (forgetthegym.ie) supporters for Mary Jennings Running Group for first time marathon runners. Monday 26 October 2015. Dublin City Marathon runners: Jackie Dillon and Orla Kavanagh. Aer Lingus Cabin Crew from Cork. Monday 26 October 2015. Dublin City Marathon runners: Avril MacKay, Hartlepool, Siobhan Hurley, Cork. Monday 26 October 2015. Dublin City Marathon runners: Kev's Team that trains in the Phoenix Park. This is Kev! Kevin Sherlock 087 259 7930. Monday 26 October 2015. Dublin City Marathon runners: Blathnaid Ryan, Laura McKinney, Jane Jordan, Tracy Kavanagh. 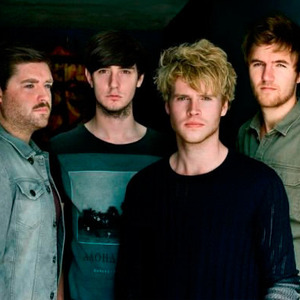 Naas. Monday 26 October 2015. Dublin City Marathon runners: Kev's Team that trains in the Phoenix Park. Monday 26 October 2015. Dublin City Marathon runners: Estuary Runners Malahide.